What links Barcelona, Tampere and Dupnitsa? Not much, you might think. Barcelona is a global city with an international reputation for innovation, gastronomy and culture. Tampere is a medium sized city located in Finland, historically linked to the country’s industrial revolution. Dupnitsa is a small conurbation located in western Bulgaria sitting at the foot of the Balkans’ highest mountain. The answer? All three have recently been awarded the status of URBACT Good Practice city. Selecting the good practices was a challenge after the huge response to URBACT’s call. Almost three hundred cities responded, from every corner of Europe. In the end, the approved good practices come from 25 Member States. There are cities of all sizes, most of them smaller and medium sized cities with up to 250,000 inhabitants – where most Europeans live. For URBACT, it is encouraging to see that more than one third of labeled good practices – 33 of the final 97 – come from cities with no previous programme involvement. As URBACT has a mission to build capacity for sustainable urban development across the EU, the engagement of new cities is a major priority. Active promotion of the Good Practice call – for example through the National URBACT Points (NUPs) – and a simplified application procedure have no doubt been key factors in this success. Now that the dust has settled and there is time to reflect on the final line up, what does an analysis of the good practices tell us? It’s important to note that the URBACT call was completely open. There were no particular stated thematic priorities, which meant that cities had a free hand to choose their focus. URBACT simply required them to be relevant, evidenced, transferable, and consistent with the programme’s principles. Consequently, this bottom-up approach offers a good insight into what cities identify as priorities. The list of winning ideas shows a clear thematic pattern. Eighteen URBACT Good Practices address the issue of urban poverty. Fifteen tackle the growing priority of sustainable land use. Eleven approved approaches focus on jobs and skills. Beyond this, there are good practices relating to the circular economy, migrant integration and digital transitions. This emerging picture corresponds quite closely with the themes covered by the Urban Agenda for the EU. The Urban Agenda reflects the Commission’s commitment to involve cities more in policy design to strengthen the urban dimension of EU policy. It addresses three goals: better regulation; improved access to funding; and better knowledge sharing. It is principally carried by twelve thematic partnerships. As the figure below illustrates, the good practices fit well with these. The chart relates only to cities’ top thematic priority. As one of the good practice criteria was having an integrated approach (a key URBACT principle) this means that each city has other thematic objectives which do not show in this chart. for example, a project addressing migrant employment will be classified either under ‘jobs and skills’ or ‘migrant inclusion’, although it addresses both. 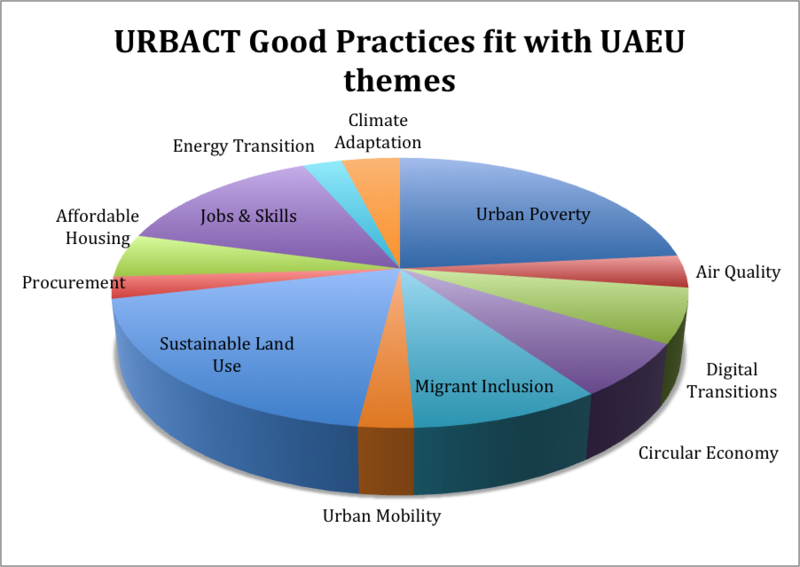 Other themes that cut across the UAEU priorities include ‘effective urban governance’, and ‘gender’. In terms of understanding urban priorities, these themes remain quite high level. So, what can we say about the issues that cities are addressing on the ground? What are the challenges these practices have set out to overcome? 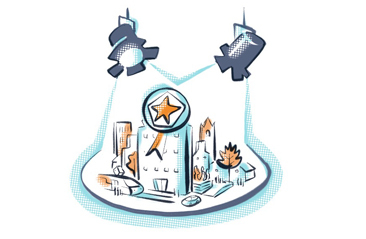 In the coming months the URBACT programme will be promoting the good practices extensively, so that other cities can learn from them – and use them to solve their own urban problems. For now, the examples below shine some light on what is under the bonnet of four high level themes. Here is a sneak peek of some eye-catching examples to watch out for. Full details will soon be published on the URBACT website, in a database of URBACT Good Practices freely accessible to all. Mouans-Sartoux is a small city located in the Alpes-Maritimes region of south-eastern France. Since 1998 this pioneering city has been exploring the links between food, health and the environment. In an area of immensely high land values, and urban development pressure, this has generated a lively debate about the use of urban land and the relationship between urban and rural space. Fast-forward to 2017, and Mouans-Sartoux now provides 100% locally-sourced organic meals served every day in its schools. This has required establishing a municipal farm and hiring two farmers to grow vegetables for the canteens, which now meet 85% of the needs of the three schools (1000 meals/day). Along the way, public procurement rules were changed to encourage local producers to respond to tenders. 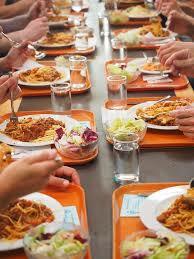 The city is now working on local agri-food systems and education to extend the initiative. Antwerp, in Belgium, is one of many cities across Europe addressing the challenge of vacant commercial properties. It is also one of the many places trying to encourage temporary, pop-up, approaches. However, few have developed the sophisticated strategic approach to matching the two that this Belgian city has refined. This has involved linking creative entrepreneurs to vacant retail units, with positive, lasting effects. The integrated multi-stakeholder approach displayed in Antwerp's Oud Berchem neighbourhood has proven to be an effective as well as inspiring methodology to transform a depreciated shopping area into a lively axis of creativity. The success ratio for the conversion of vacant retail units stands at 70%, with 60% of the units being rented on the long term and 10% being sold to entrepreneurs. Many cities across Europe will be interested in the So Stay Hotel model used by Gdansk, Poland. It addresses the challenge of creating employment opportunities for some of our most vulnerable citizens. In this case, the Polish city is supporting young people who have grown up in care, many of whom struggle to make the transition into sustained employment. The project was established as a collaboration between the Municipality of Gdansk and the Social Innovation Foundation, and is a good example of how city authorities are working in new configurations in many parts of Europe. The hotel's innovative operational model - the first in Poland - combines a market approach with social responsibility. Operating as a commercial hotel, So Stay allows young care leavers to acquire skills, qualification and work experience in a supported environment. It also offers housing support, providing an important platform in their transition to independent, adult life. 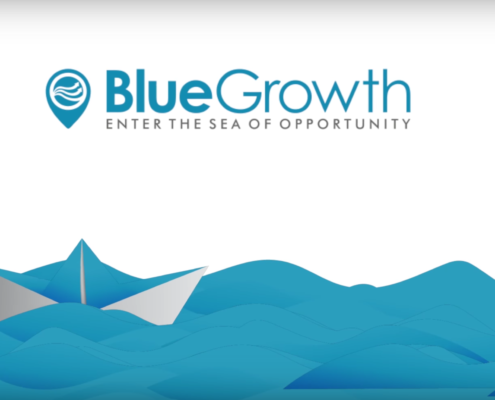 The marine economy is the focus of the Bluegrowth initiative developed in Piraeus, Greece. This takes the form of a competition focused on inspiring entrepreneurs to realise innovative concepts and develop jobs and services related to marine and freshwater resources. Successful concepts gain six months of development and incubation support, as well as access to an established network of local marine economy expertise. The approach has helped formally strengthen the human ecosystem (partners, sponsors, advisors, academia) around the Blue Economy in Greece’s largest port. The initiative’s achievements have already been recognised with an EU Maritime award. To date Bluegrowth has supported the establishment of ten start-up businesses and generated 55 jobs. Santiago di Compostela: Tropa Verde, Rewarding Recycling! The Tropa Verde model, developed by Santiago di Compostela, Spain, has successfully shifted citizens’ attitudes towards waste. The story begins back in 2015 when a local survey identified high levels of reluctance to recycling. Identified barriers included lack of information and no culture of recycling in the city. To address this, the city authority developed a game-based web platform linked to rewards from local retailers. This step proved to be transformative in changing local mindsets. Within two years, rates of recycling have soared. Over that period, more than 115 sponsors have offered over 800 rewards, ranging from hotel accommodation to beauty treatments. These were exchanged for over 16,000 recycling actions by citizens. Through workshops, street actions and promotional activities the word has spread. Schools have also been busy, recycling thousands of litres of cooking oil and over 3,000 domestic appliances. And the word is getting out – with at least six Spanish cities already following the Tropa Verde model. Engaging citizens has been the priority for the Czech city of Ostrava. Like many administrations, it has been exploring effective ways to involve local people actively in their decision-making processes. In 2016 Ostrava developed a process to involve citizens in developing its 2017-2033 Strategic Development Plan, under a campaign called “fajnOVA” (meaning “fine Ostrava” in Czech). The aim was to raise levels of ownership and commitment among the city’s residents. Using a wide range of tools, the approach engaged with 250 experts from various fields of urban development in addition to 20,000 residents and city visitors. The initiative is a break-through in participatory processes for the Czech Republic, with wide-reaching and positive future implications. In addition to the 97 approved good practices, many interesting ideas did not make the final group. 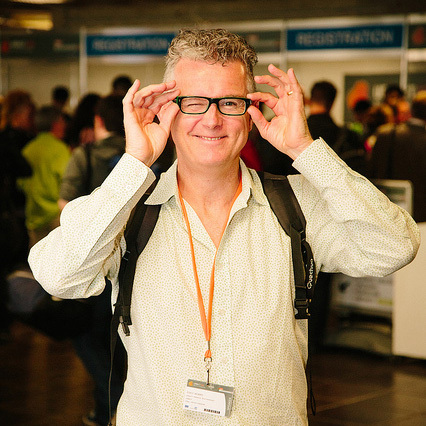 With many high quality applications, competition was intense. The Iasi district heating model, the Niort digital project and the Gaia project from Portugal were prominent examples, and URBACT hopes there will be chances for many of these cities to participate in the programme’s activities in the future. In the meantime, the focus is on the 97 good practices selected by the independent URBACT Expert panel. Over the coming weeks and months, Good Practice updates and analysis will be shared on URBACT’s website, blog, social media channels, as well as via face-to-face events, to reach a wide and diverse stakeholder audience. So be on the lookout in the coming months to find out more!